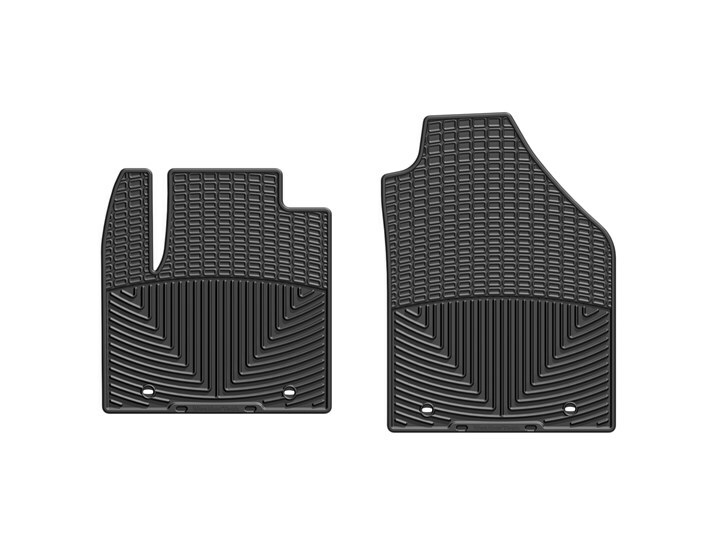 2009 - 2013 Ford Transit Connect 2pc front All-Weather Rubber Floor Mats. Choose black or grey color. Mats are custom fit. The WeatherTech® All-Weather Floor Mats have deeply sculpted channels designed to trap water, road salt, mud and sand. Our proprietary engineered odorless resin ensures that these mats will not curl, crack or harden in sub-zero weather. Our All-Weather Floor Mats also have anti-skid ridges to prevent shifting in your vehicle and come with a protective, non-stick finish to make cleanup quick and easy. WeatherTech® All-Weather Floor Mats are manufactured in America to ISO 9001 standards, and also meet FMVSS302 standards – your assurance of quality. Choose from Black, Tan or Grey to complement virtually any interior color. Available for cars, trucks, minivans and SUVs. Usually ships in 1 - 2 business days. Delivery is usually 1-5 business days to most locations.